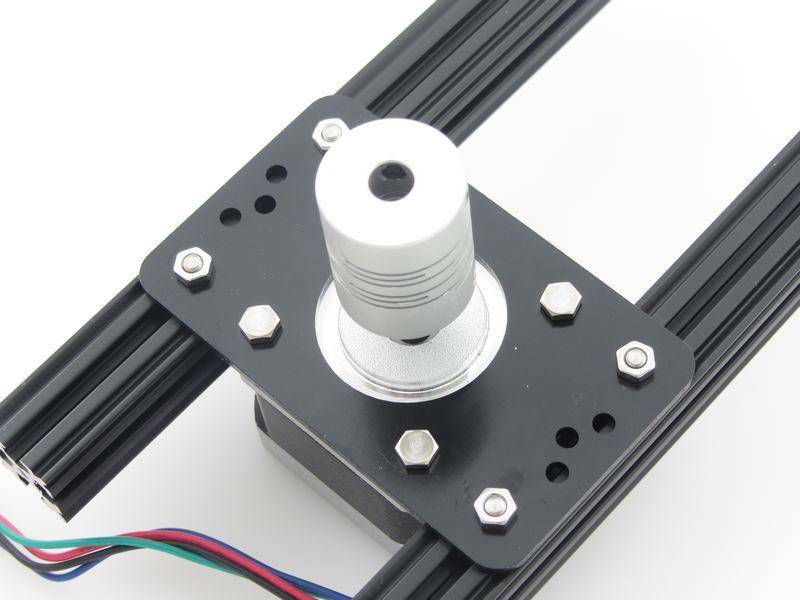 Allows the mounting of a NEMA17 stepper motor, or a 608 bearing through the use of the 608 bearing adapter, to a piece of OpenBeam. 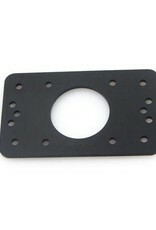 The plate are stamped out of 2mm thick 5052-H32 aluminum plate, then black anodized to a jet black finish. 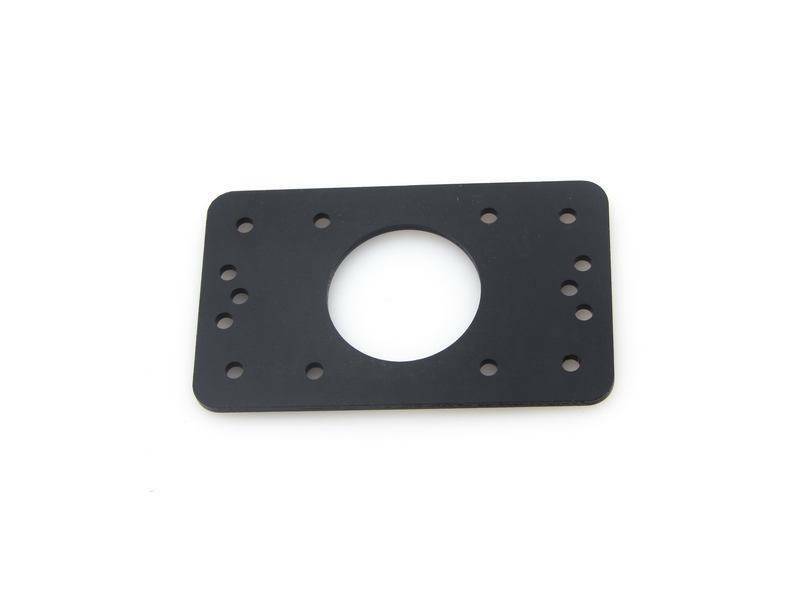 These brackets are best suited for 15x15mm profiles like MakerBeamXL and OpenBeam. 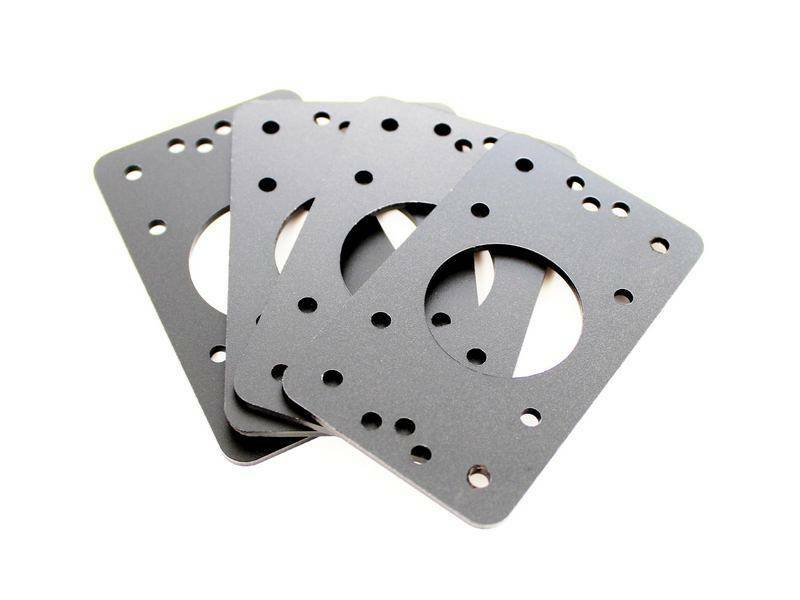 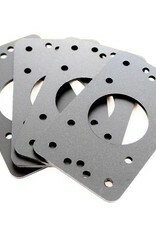 You can use these brackets for MakerBeam (10x10mm in diameter). 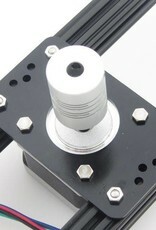 It will hold, but it is not a nice fit.